It started with the promise of Flarrow. It ended, well, with one half of the crossover magic. 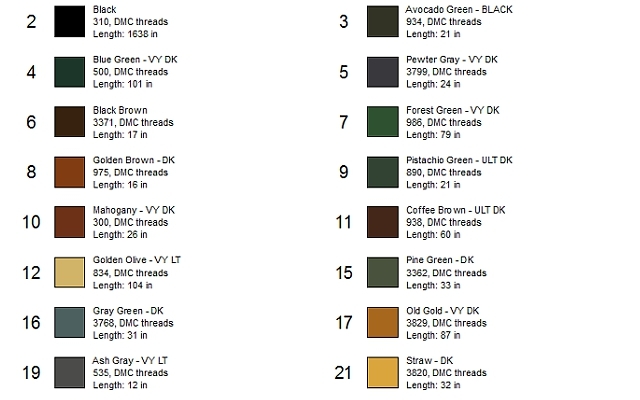 I was pretty set on making the Flarrow chart (in two days!) 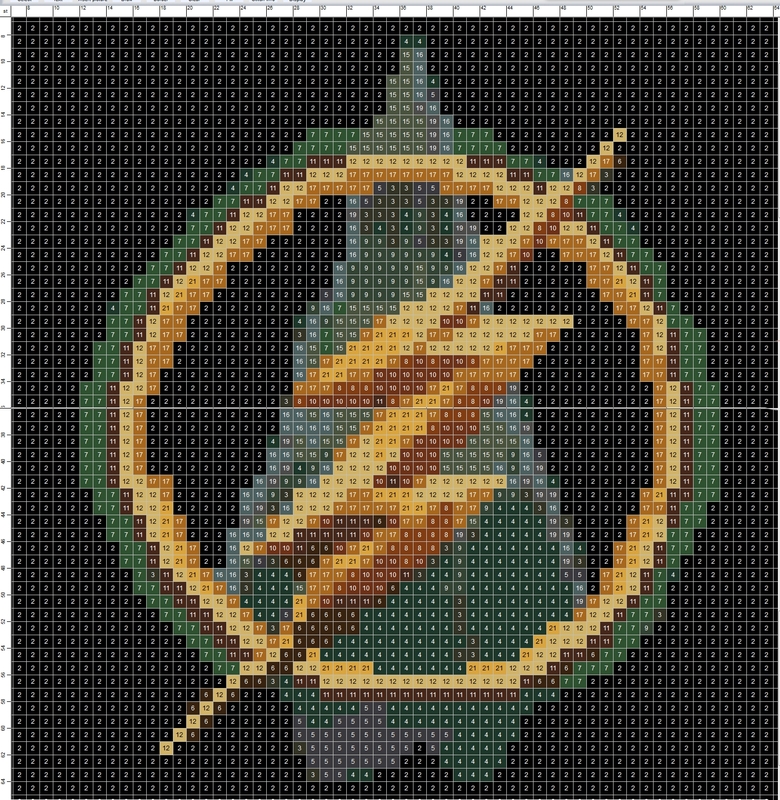 but as I started working on it, I realized something…I like the Flash bolt of awesomeness so much and I’m scared that the arrowhead would have taken away from that. But, if any of you awesome folks want to tackle the whole project, please, do it. And show me that it was a mistake to leave out the -rrow part of the Flarrow magic. This took me about 4-5 hours. (I think. 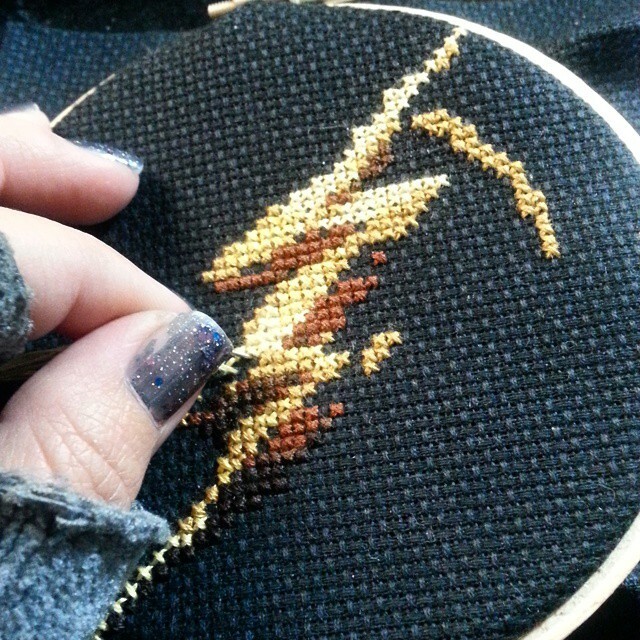 I so lose track of time, LOL) So, if you do tackle the entire project, you’re probably looking at 6-8 hours. Previous PostSuper Merry-o Christmas!Next PostEverything is Awesome! Yay! I always love to hear about when people make something with the charts I post. 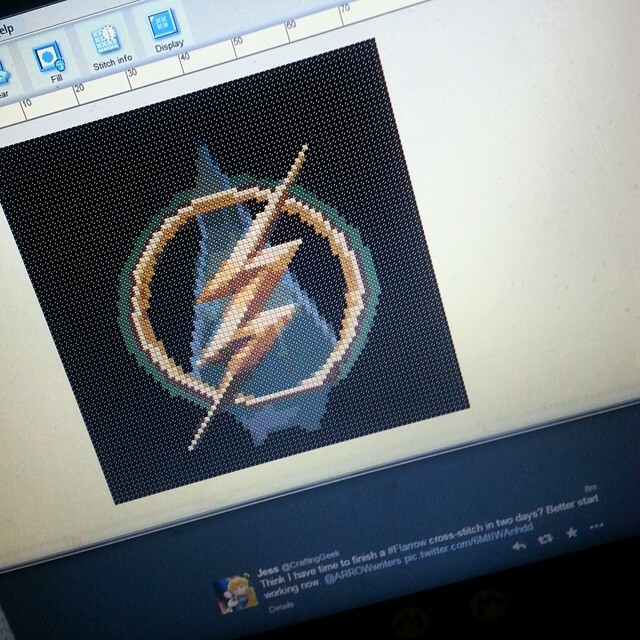 Out of curiosity, did you make the Flarrow chart or just the Flash symbol? 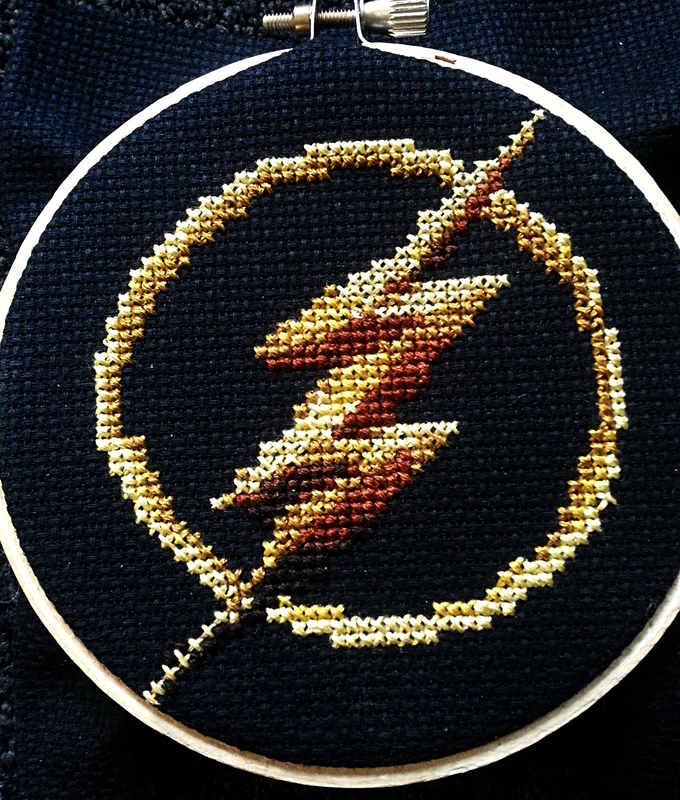 Hi I did flarrow but want to turn it into a 3 panel series and do flash and arrow separately. This is awesome. I’m going to stitch it as an ornament for my son! Thanks so much!